On this full day speedboat tour we will take you on a day filled with great island destinations and popular beaches for a perfect summer day. 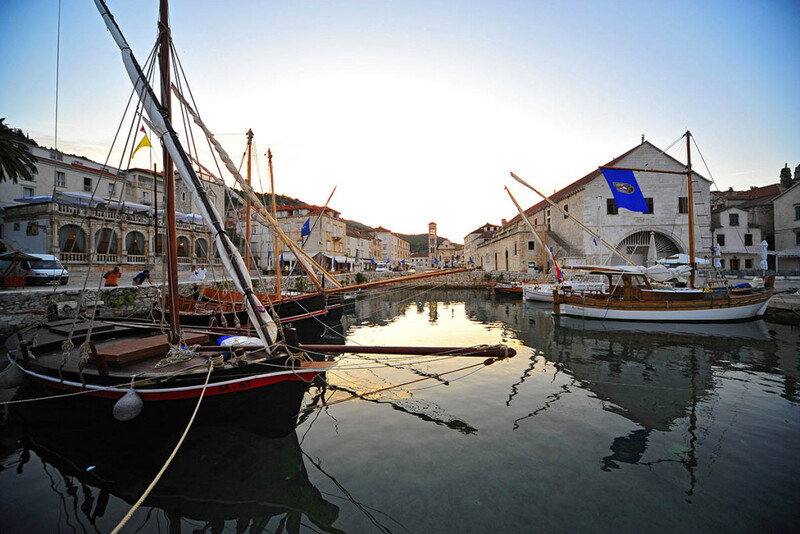 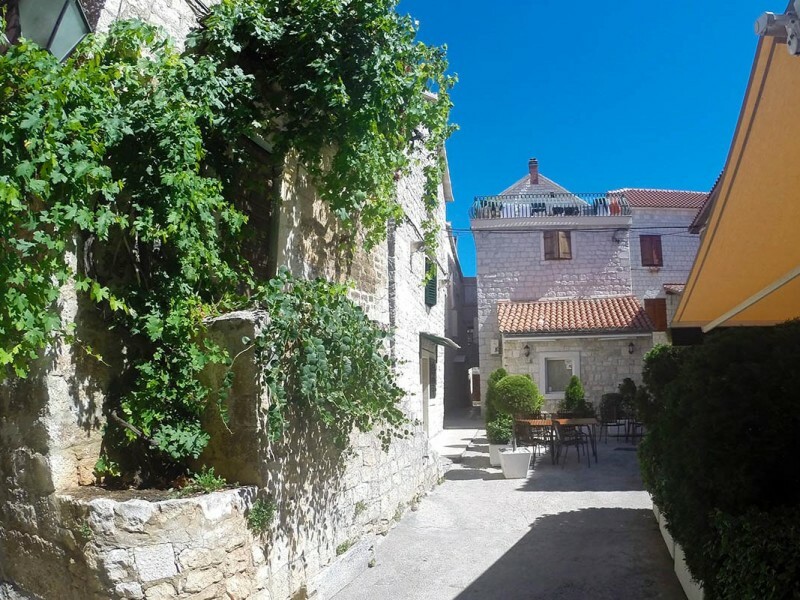 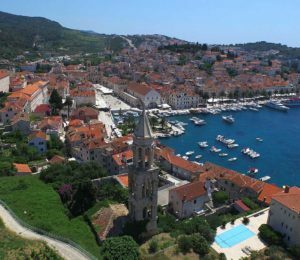 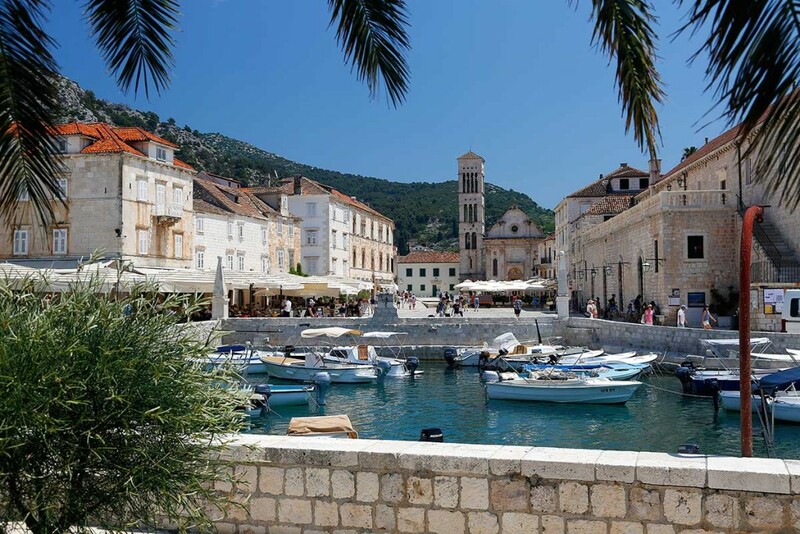 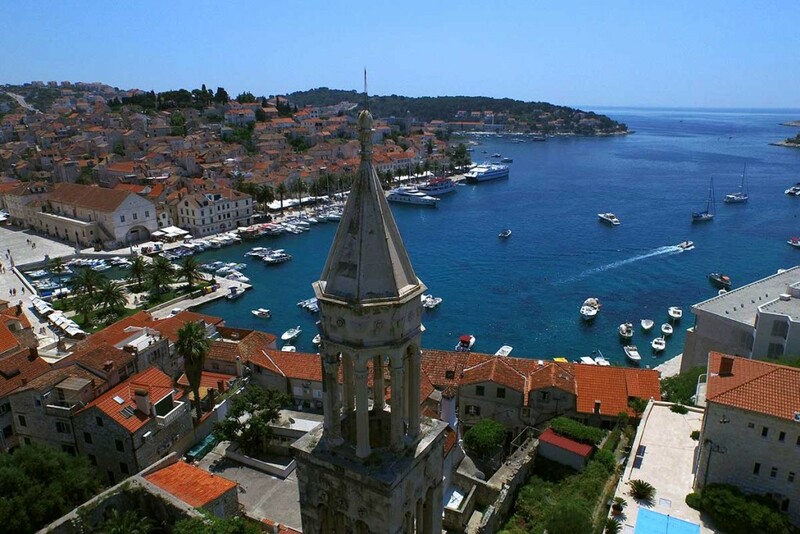 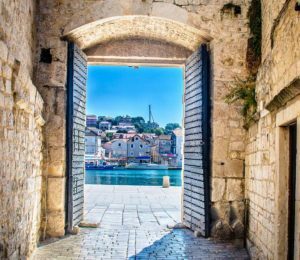 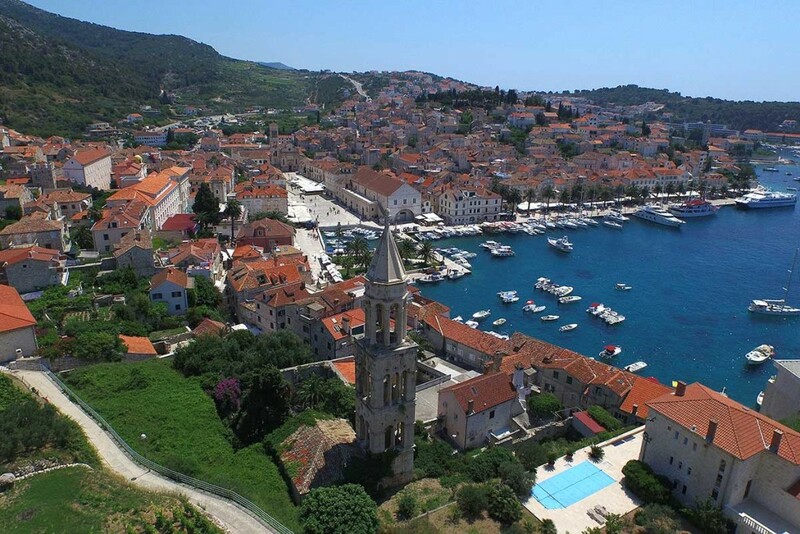 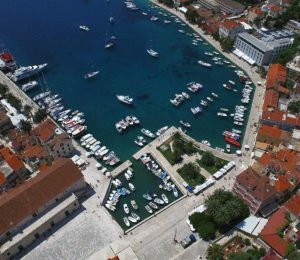 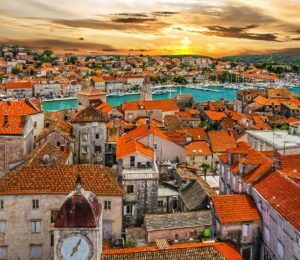 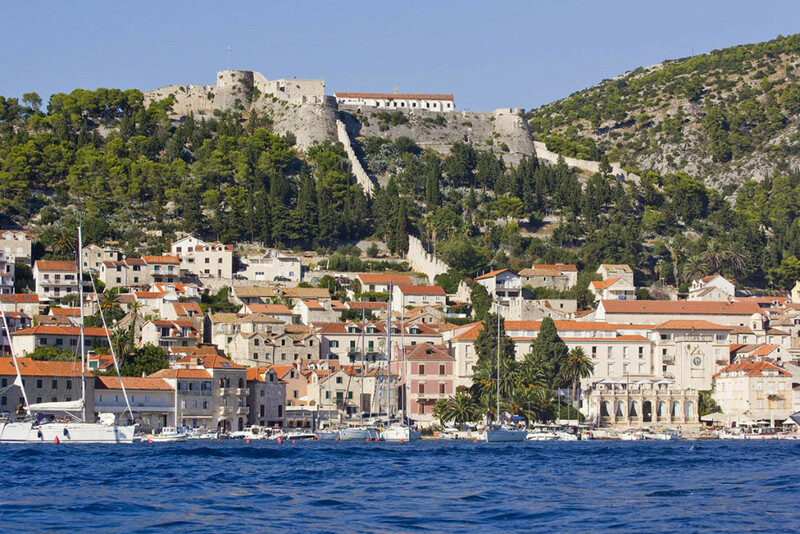 On the first stop we will visit picturesque town Hvar where you will have little under 2 hours for sightseeing and exploration. 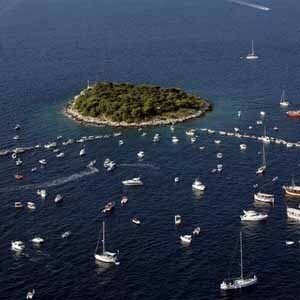 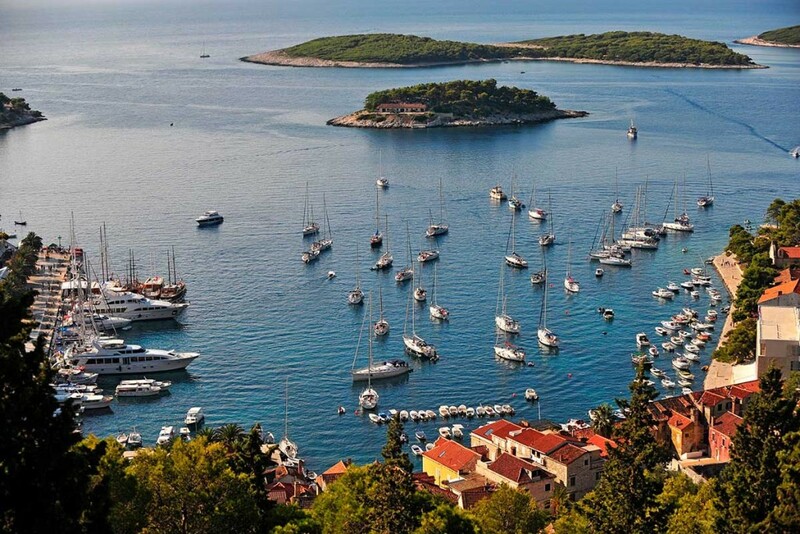 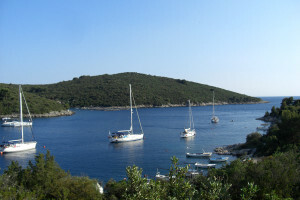 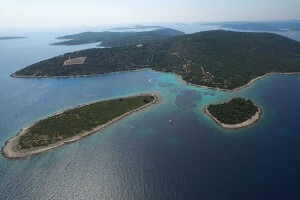 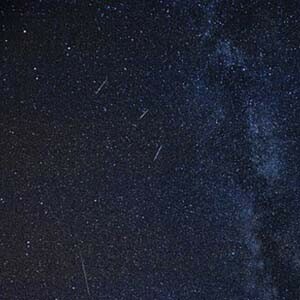 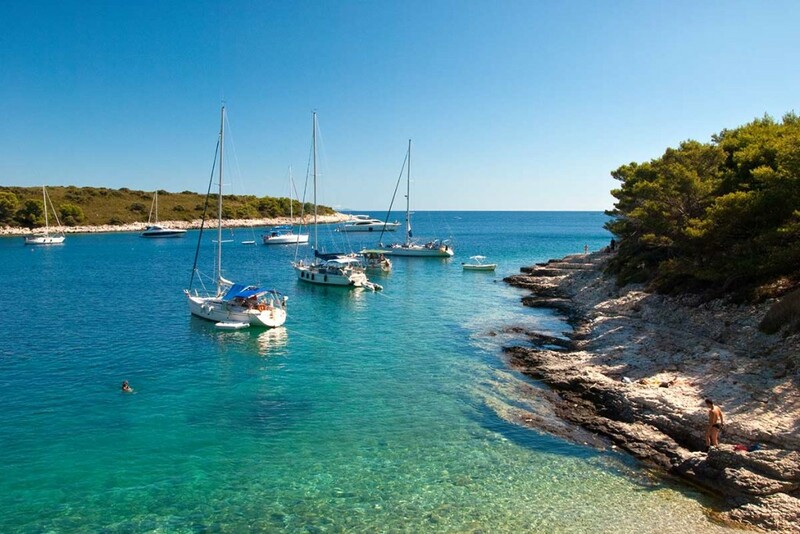 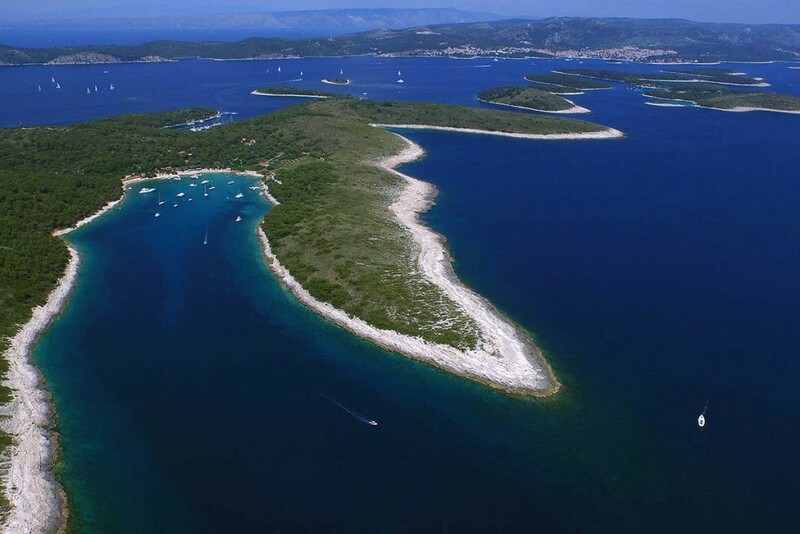 From Hvar we continue to the adjacent Pakleni Islands archipelago. 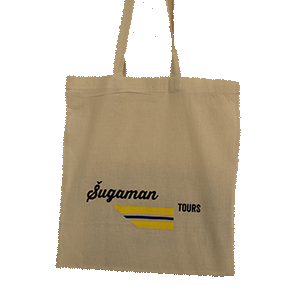 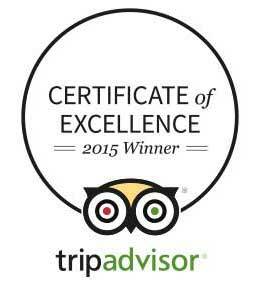 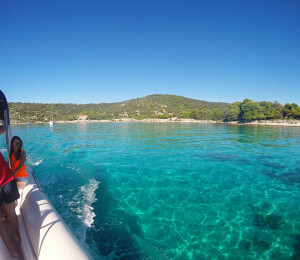 We will find a perfect stop where you can enjoy in the crystal clear sea of the archipelago. 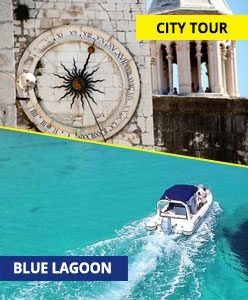 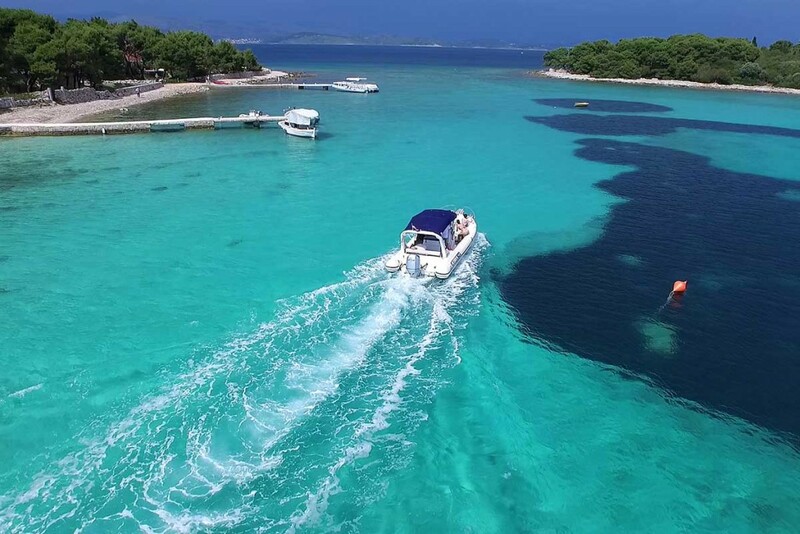 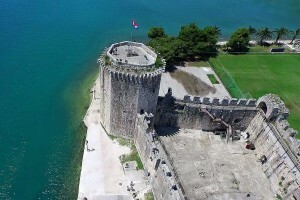 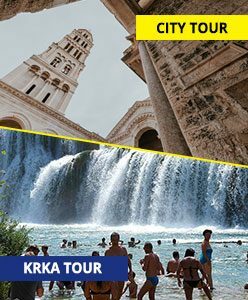 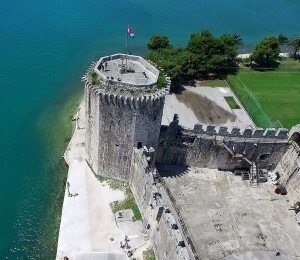 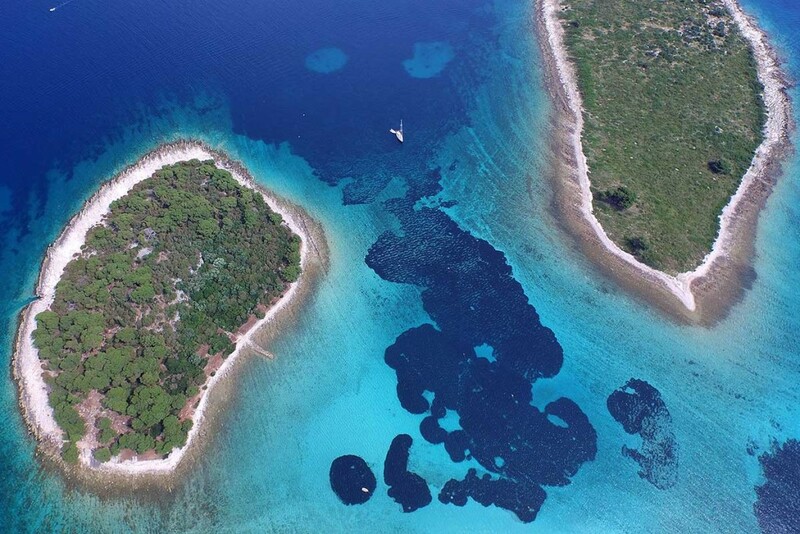 The tour continues towards island Solta, then swimming and snorkeling in popular Blue Lagoon after which we visit historic city of Trogir. 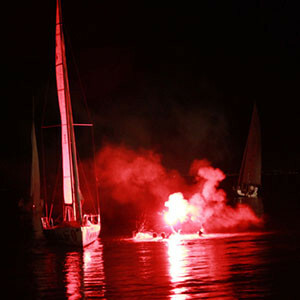 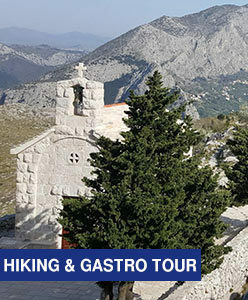 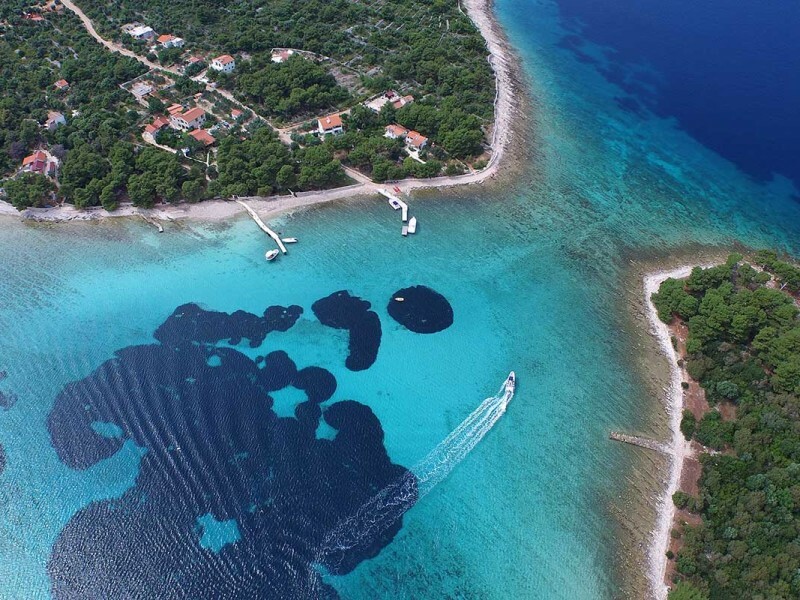 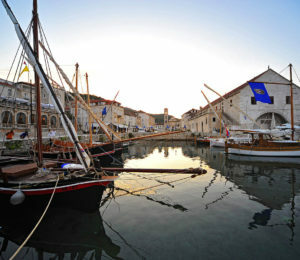 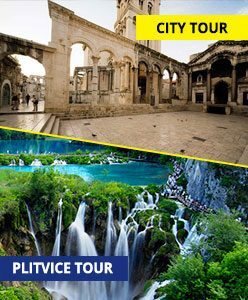 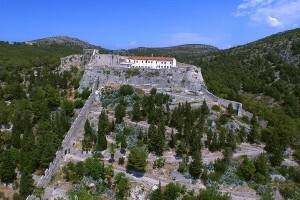 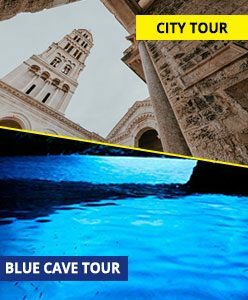 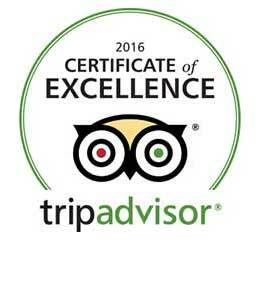 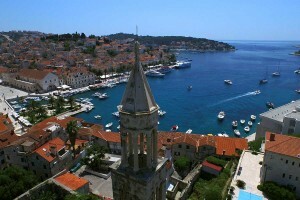 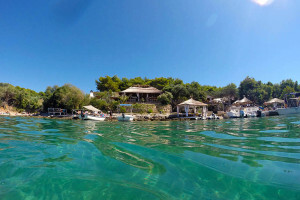 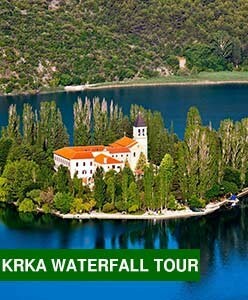 Live your dream holidays on our island hopping tour and experience wondrous islands and coastlines of central Dalmatia. 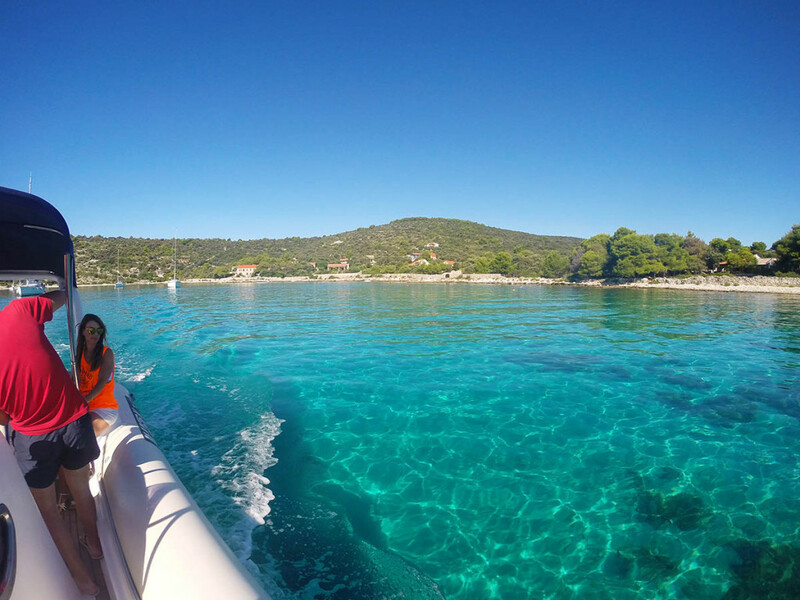 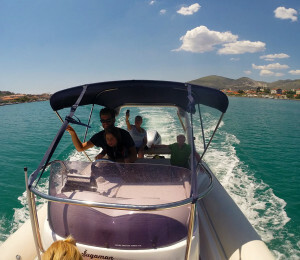 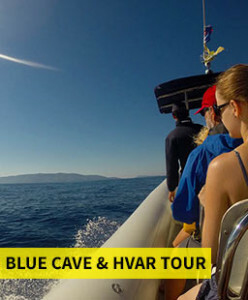 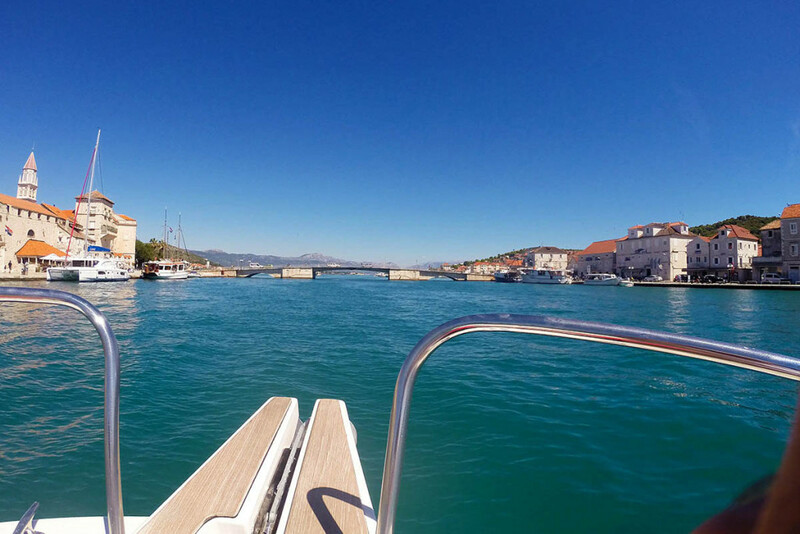 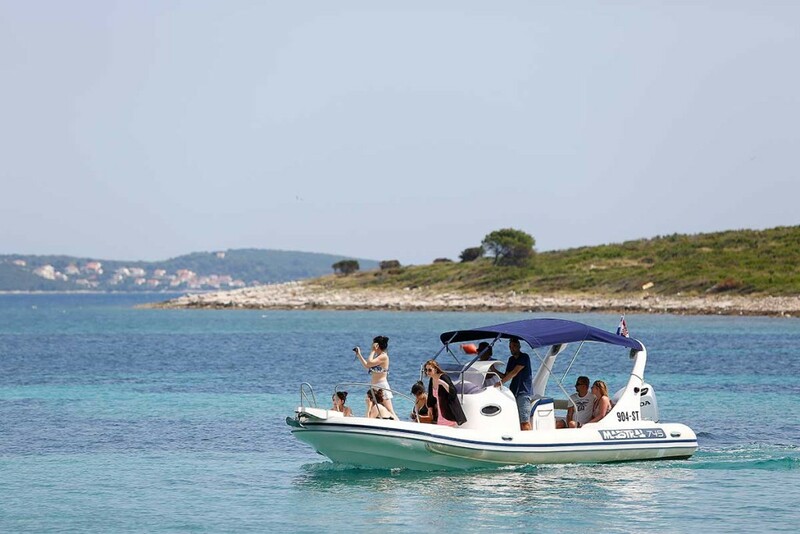 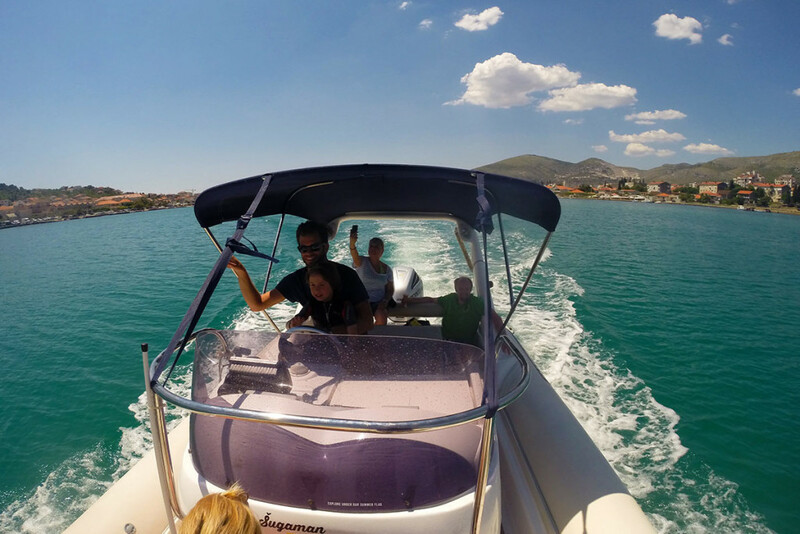 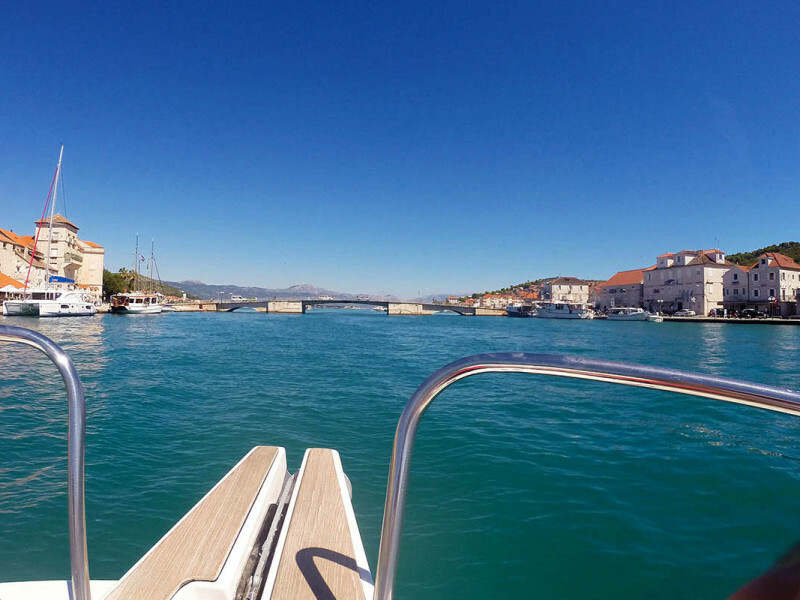 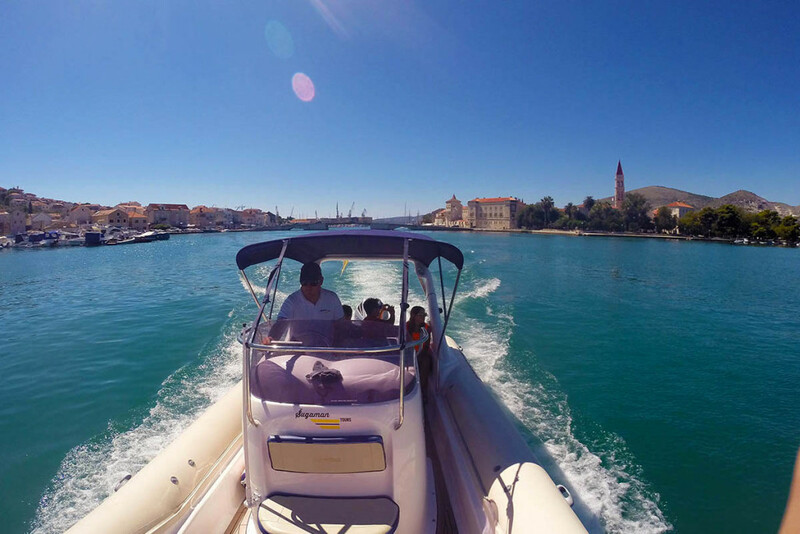 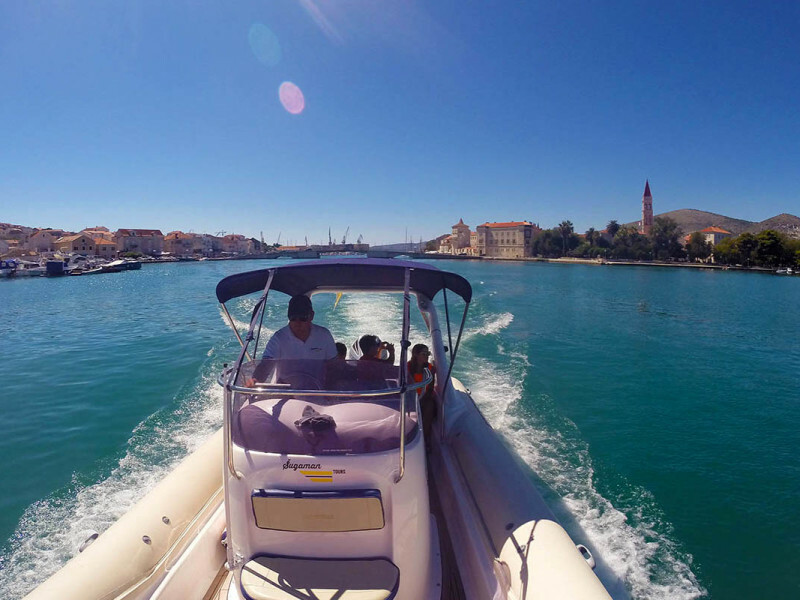 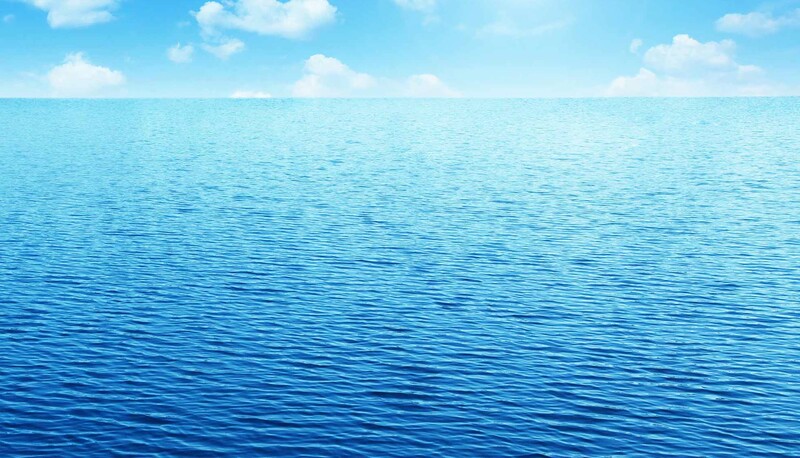 Hop on board and enjoy pure clean air of the sea while exploring Croatia’s top destinations. How do you know which island is for you? 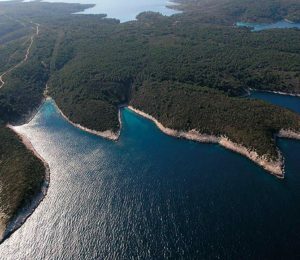 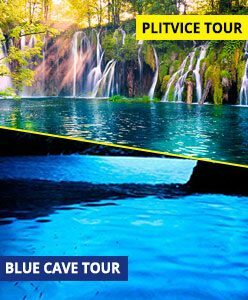 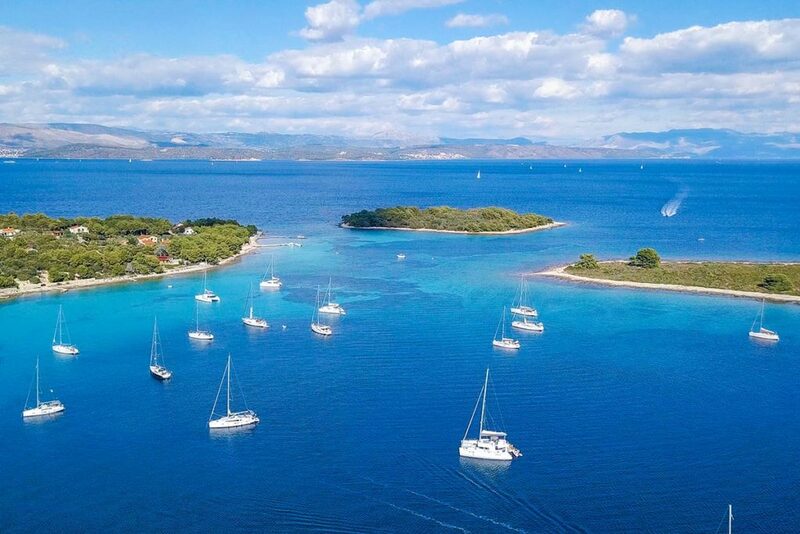 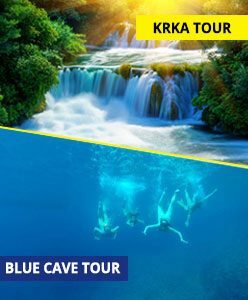 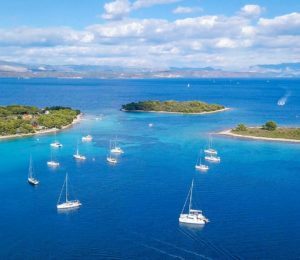 Croatian islands invite you to live your unforgettable experiences, whether they are luxurious and populated or pure and pristine with timeless beauty and untouched beaches. 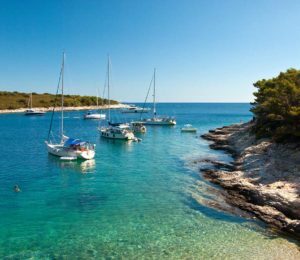 Start your journey on Hvar island, extremely popular within global celebrities who love to spend their time in this charming seaside town. 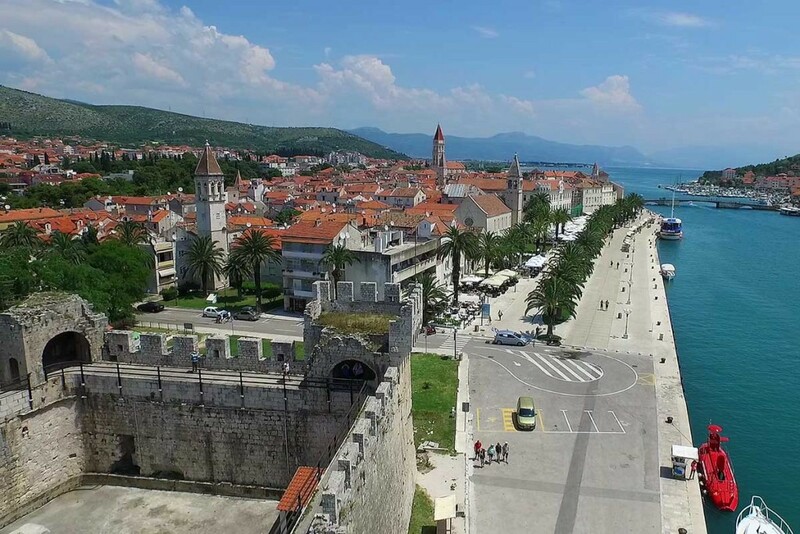 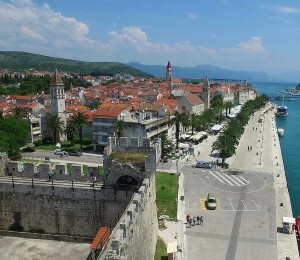 Walk along cultural center, climb on Fortica fortress, drink a cocktail in one of waterfront bars and admire island paradise. 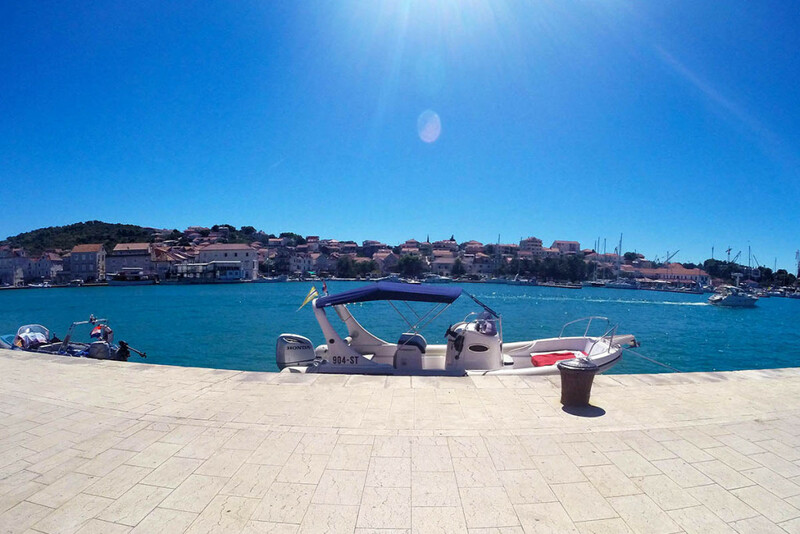 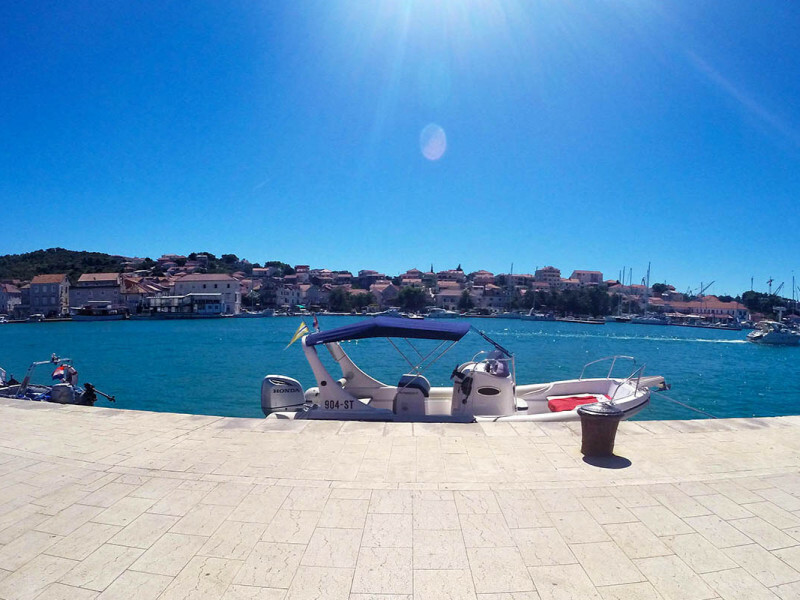 Hvar is always a perfect choice if you want to feel island vibes. 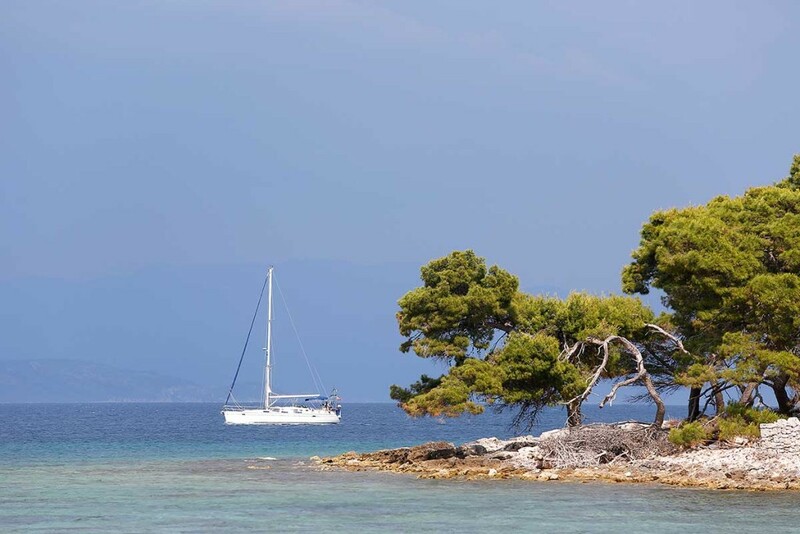 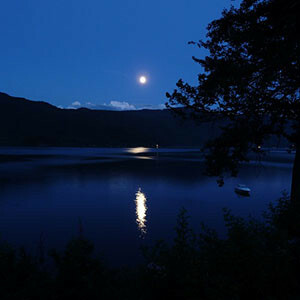 When you sign up for a boat tour, a stunning chain of wooded islands that stretches out and welcome you to sail along its coast is a perfect landscape to capture. Spending time in Pakleni islands will make you feel adventurous and free. 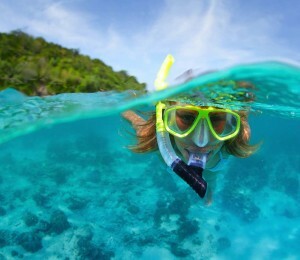 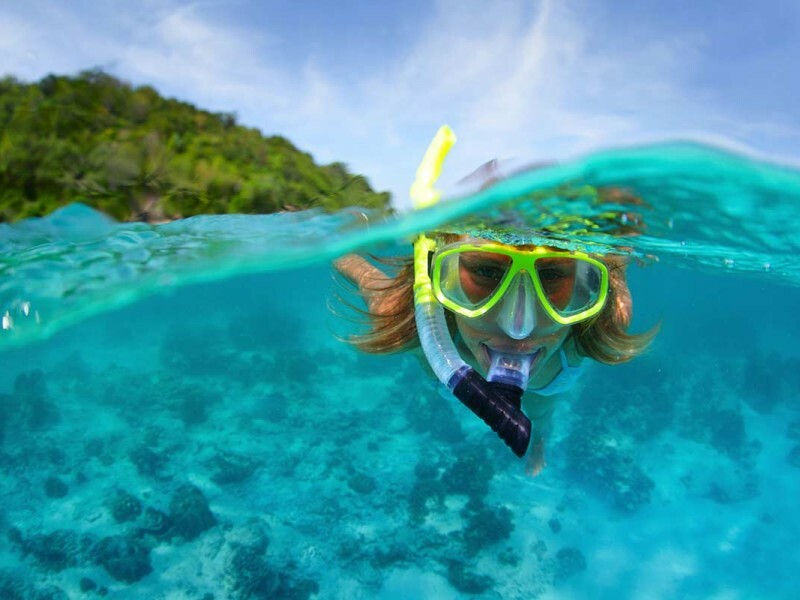 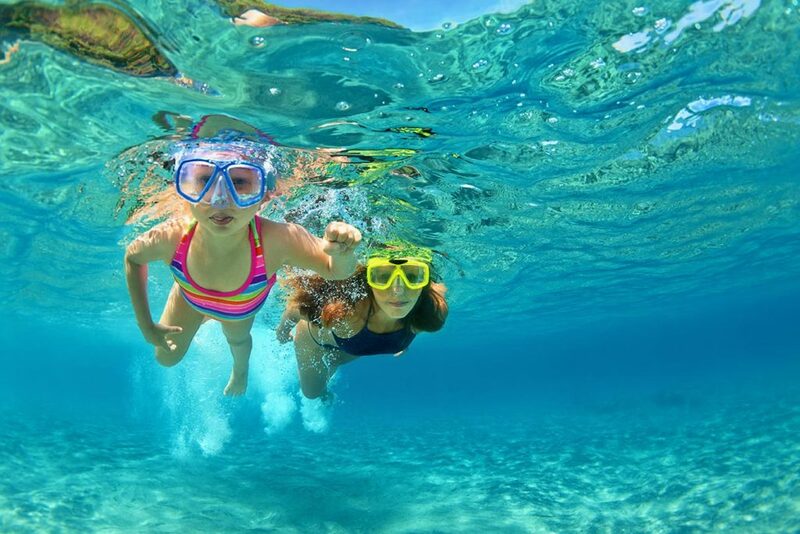 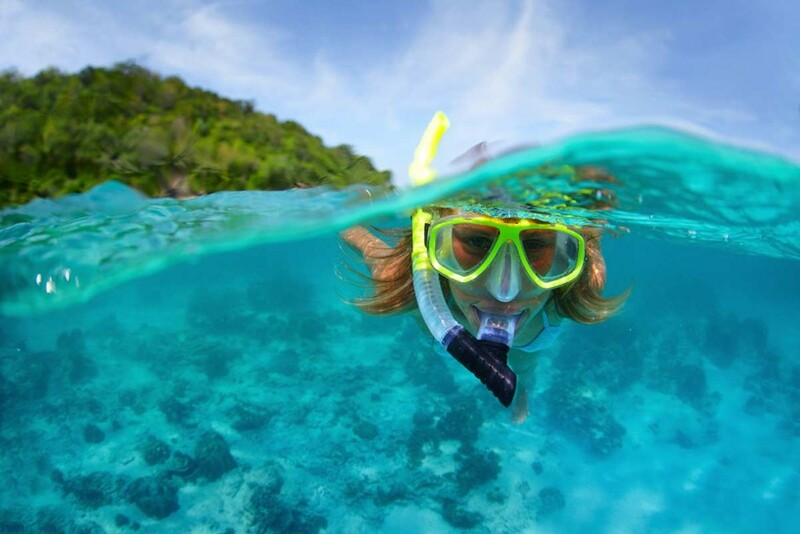 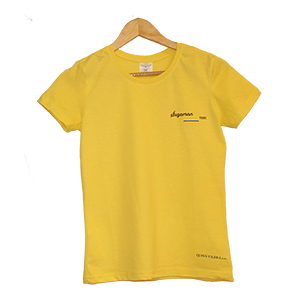 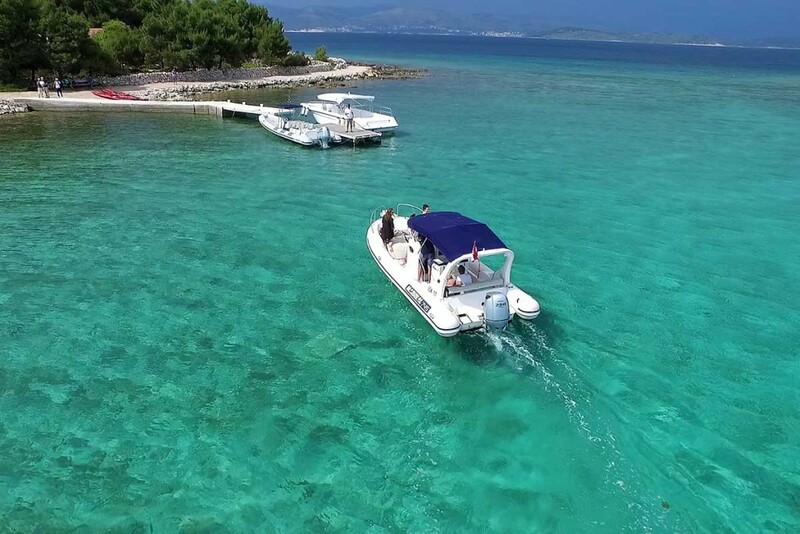 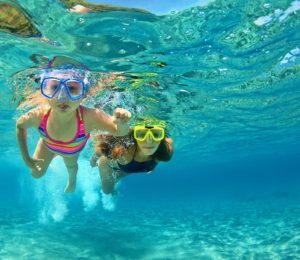 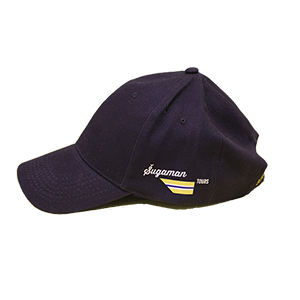 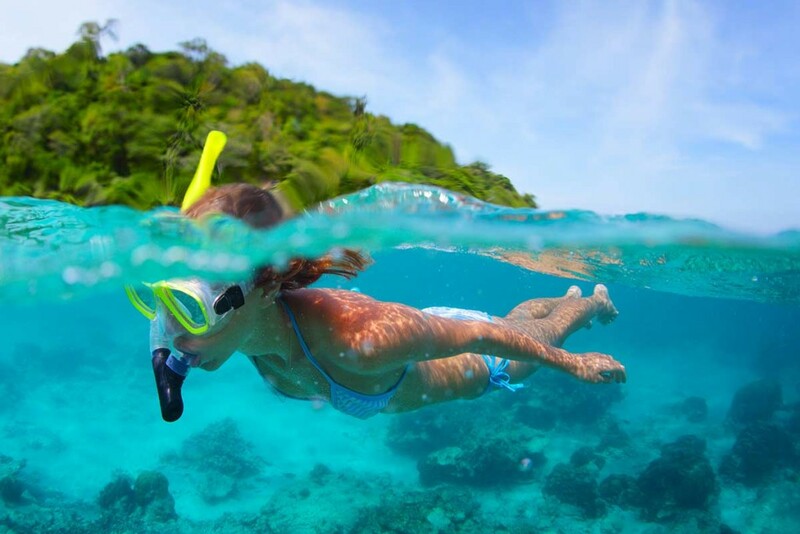 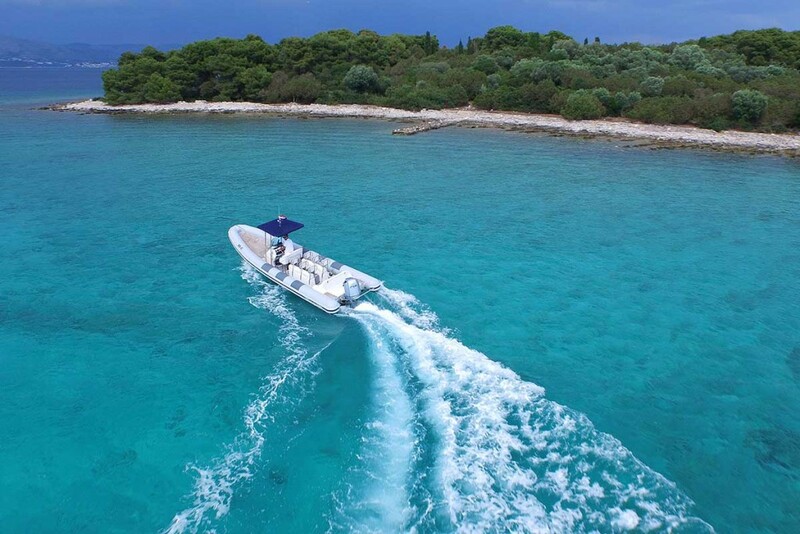 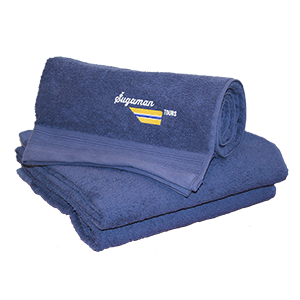 Grab snorkelling equipment from our speedboat and meet Adriatic underwater. 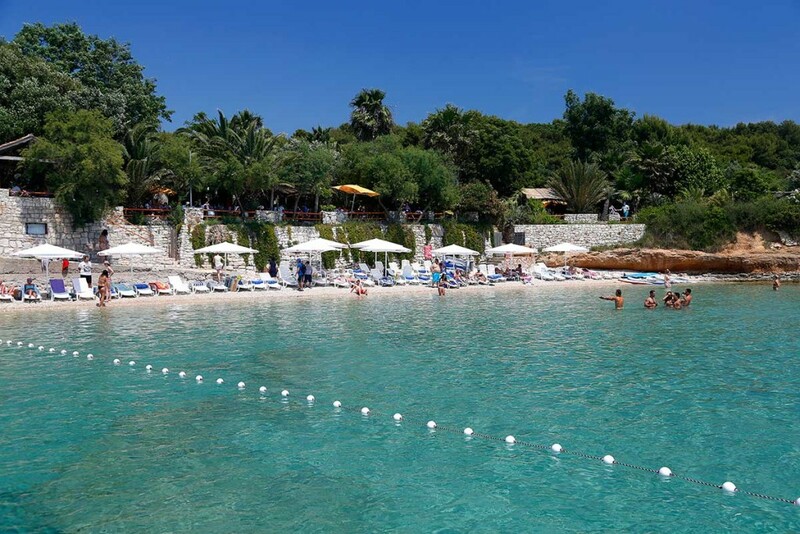 In this great mixture of green forest and crystal clear sea find your spot on the beach and soak up the sun rays. Our next stop, Šolta island is a real treasure for those who seek for „piece and quite“. 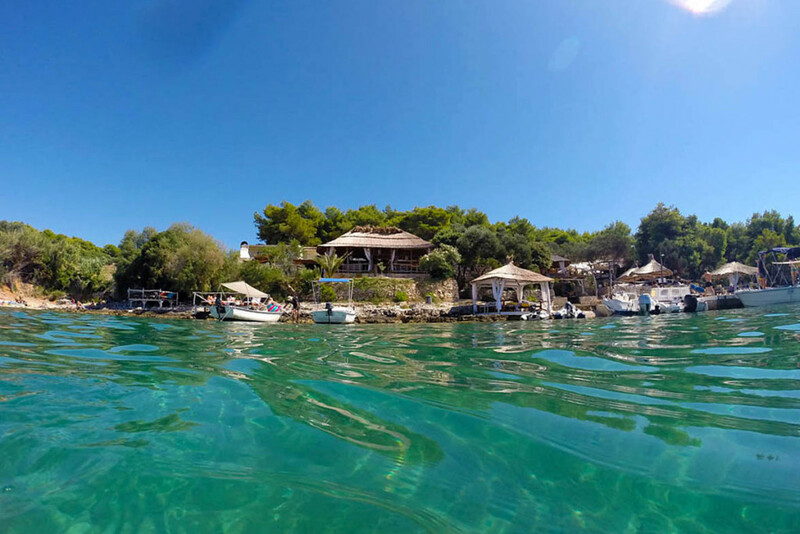 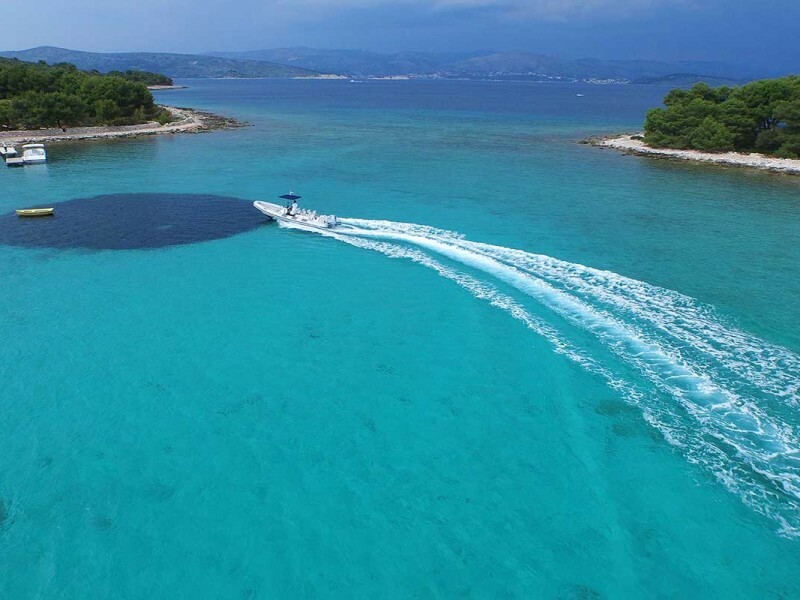 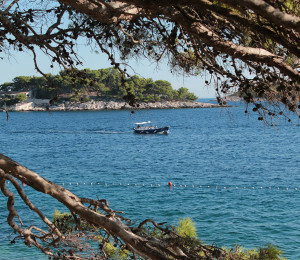 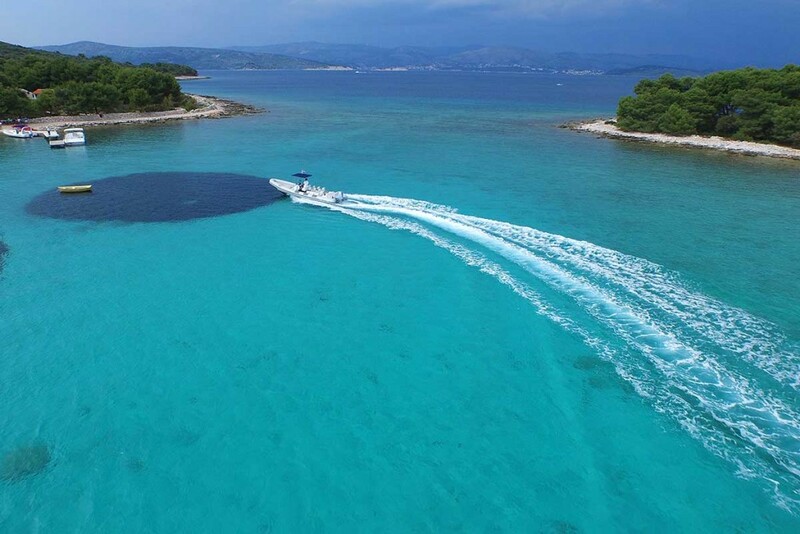 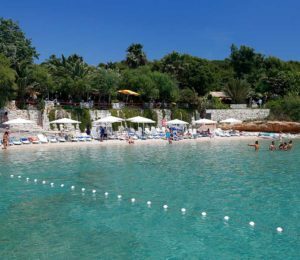 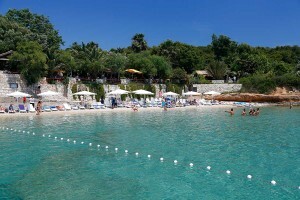 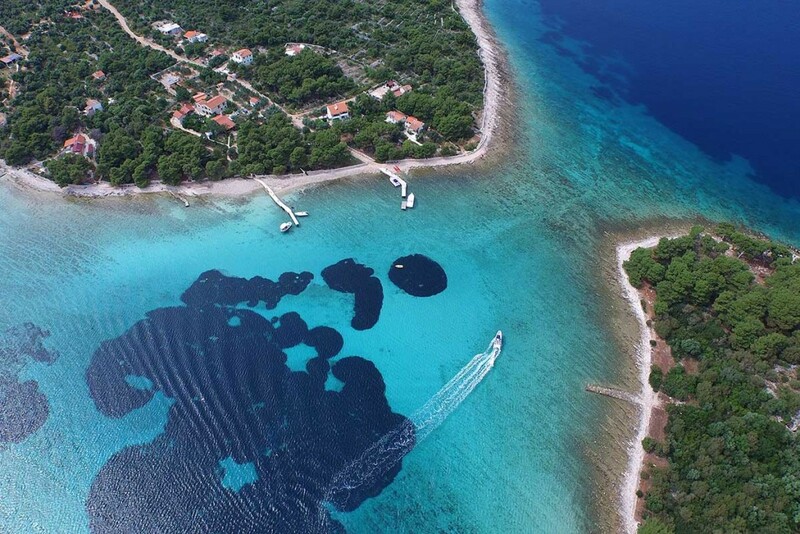 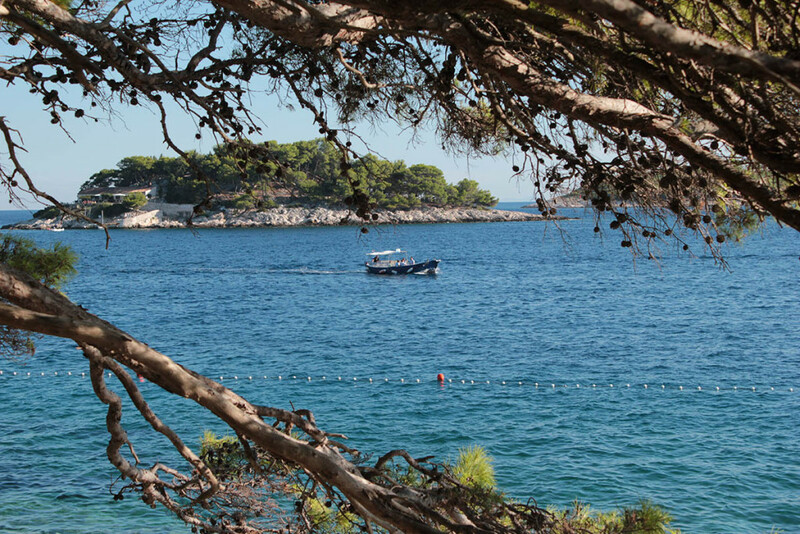 Hidden in azure shells near Split, Šolta has so many to offer. 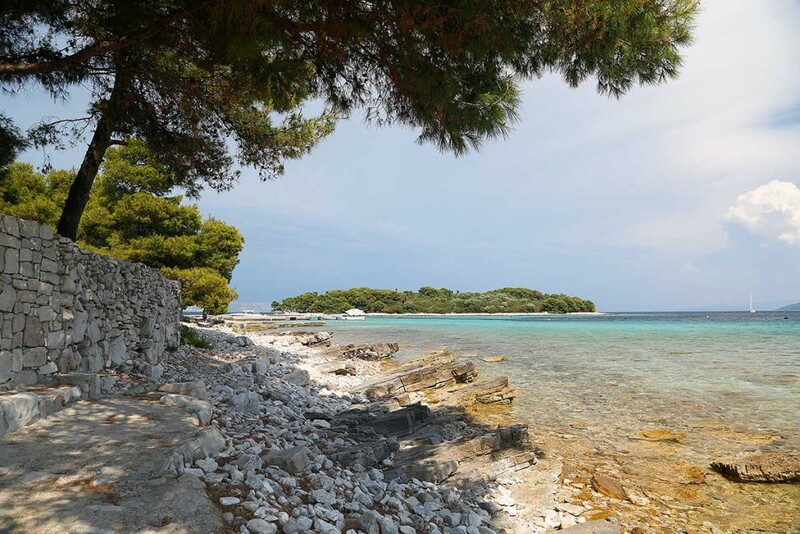 Cool down on one of the breathtaking pebble beaches and explore the island before your lunch break. 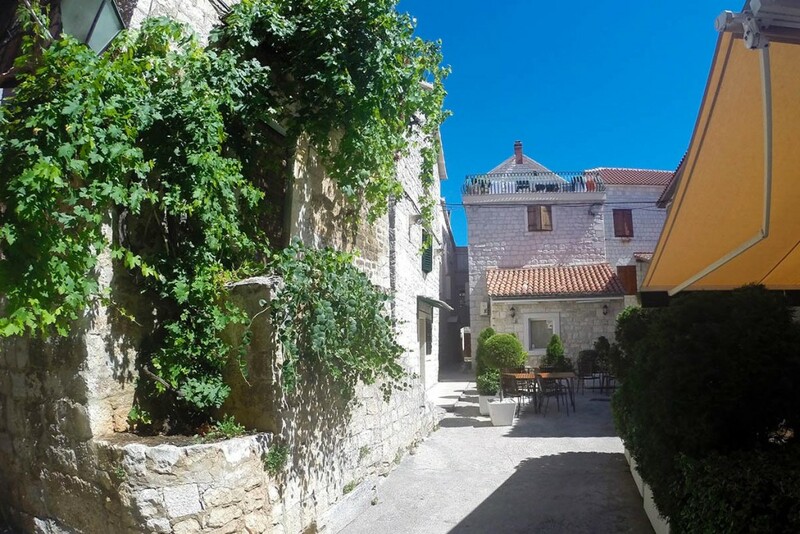 Well known for wine and honey making, gingerbread and delicious food, Šolta is a perfect place for taste local food in traditional restaurant. 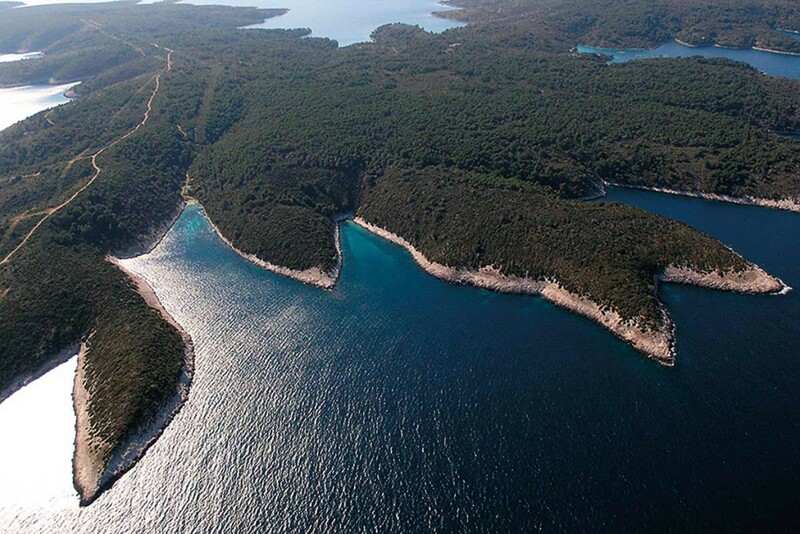 Admire the hard-to-forget landscape while heading to the Blue Lagoon, also known as a Adriatic tropical paradise. 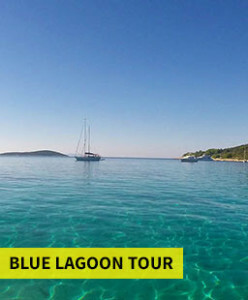 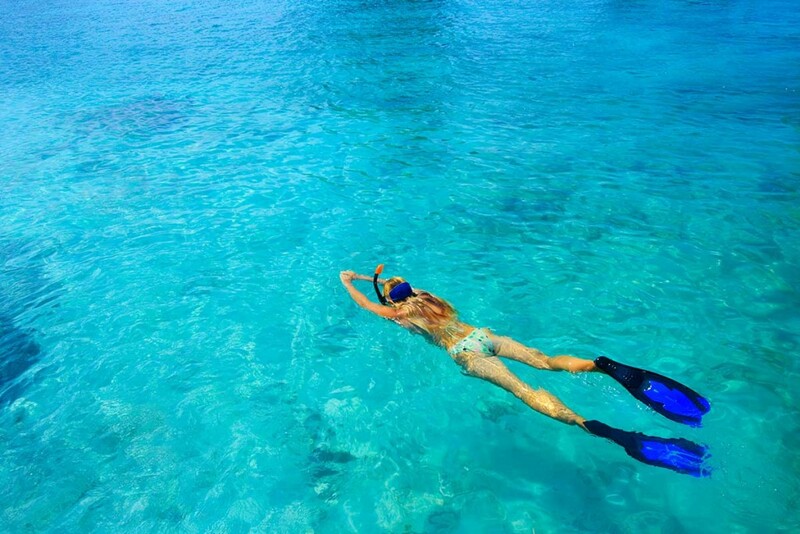 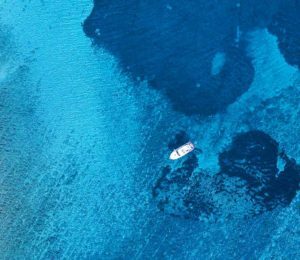 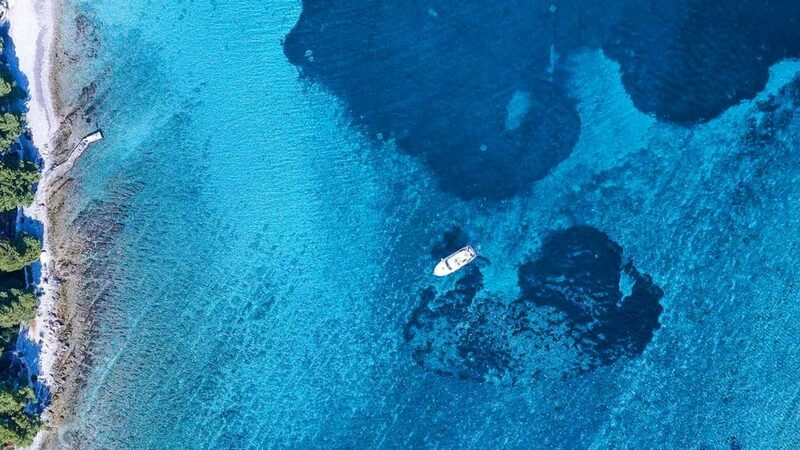 Discover different shades of blue, everlasting sunshine and sandy seabed. 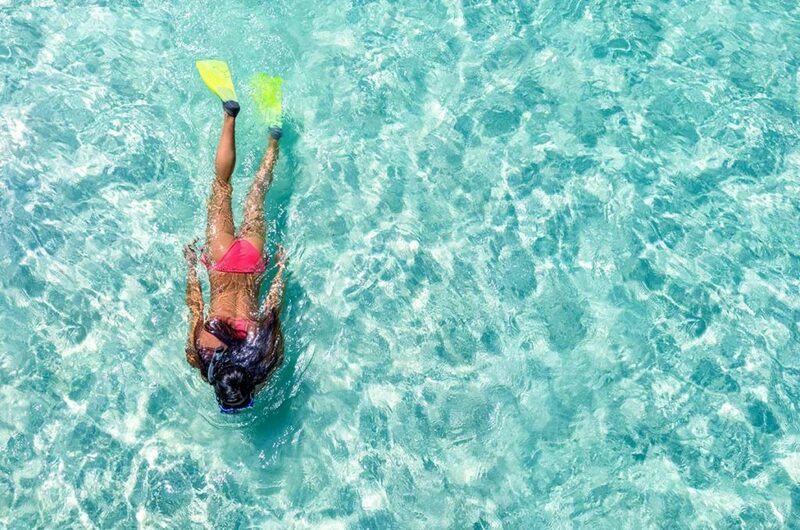 Enjoy swimming in crystal clear sea, float effortlessly in brilliant turquoise water in a ring of a three isolated islands. 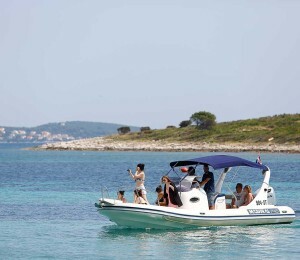 Tanned and salty leave the beach and continue toward UNESCO protected site of Trogir. 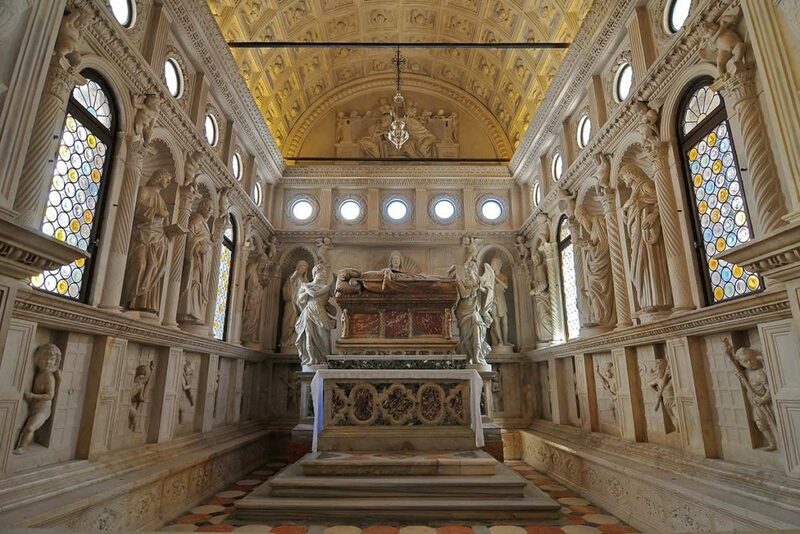 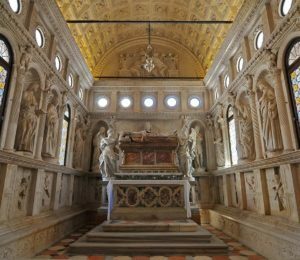 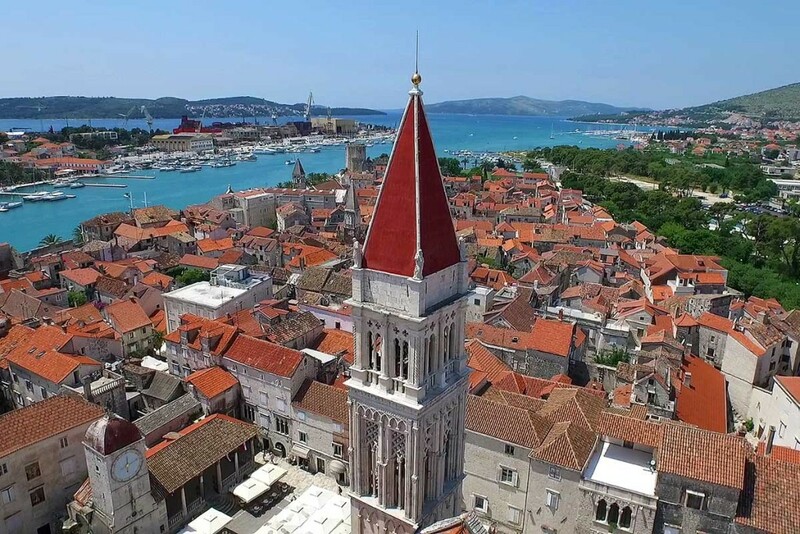 One of the best preserved examples of Romanesque-Gothic architecture will leave you speechless. 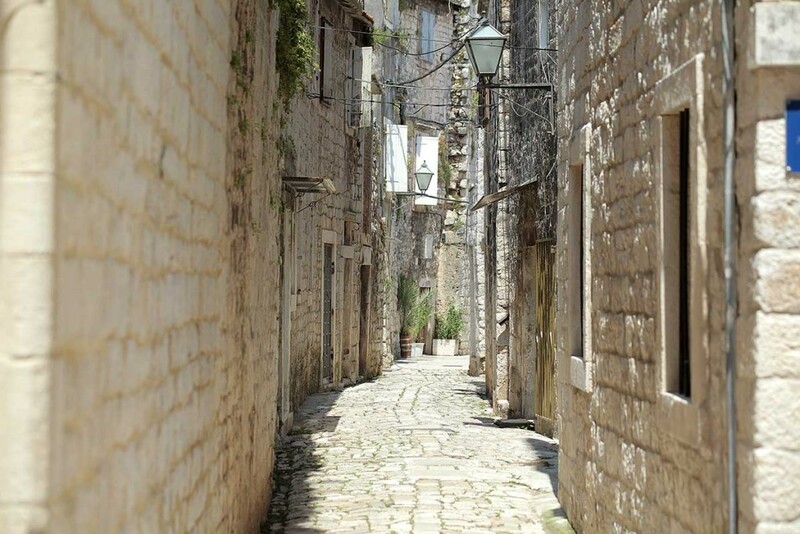 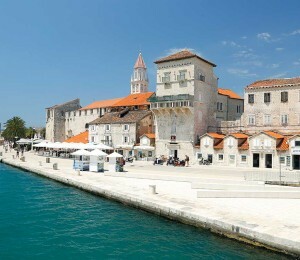 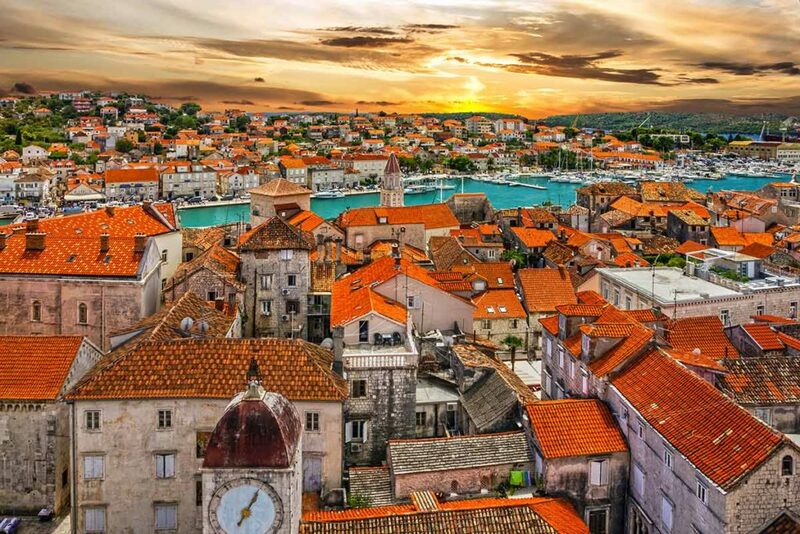 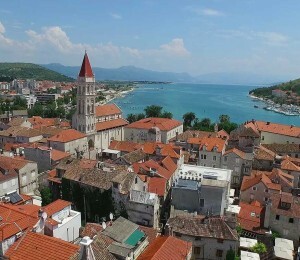 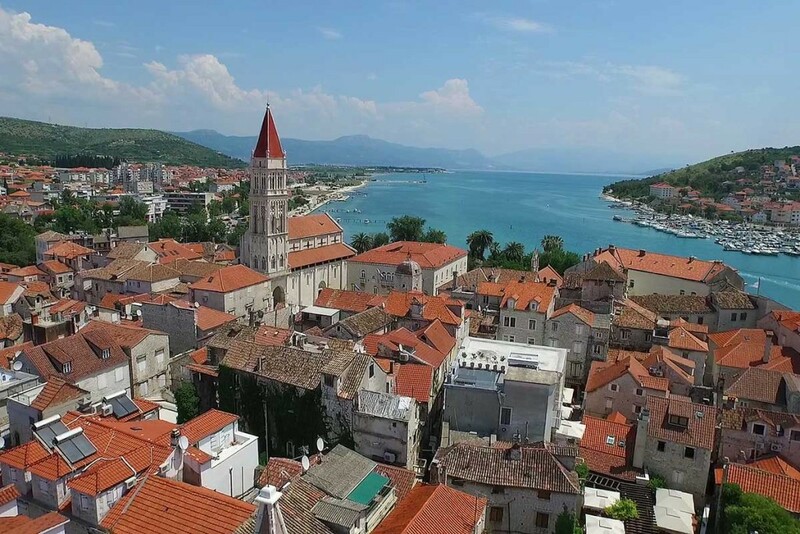 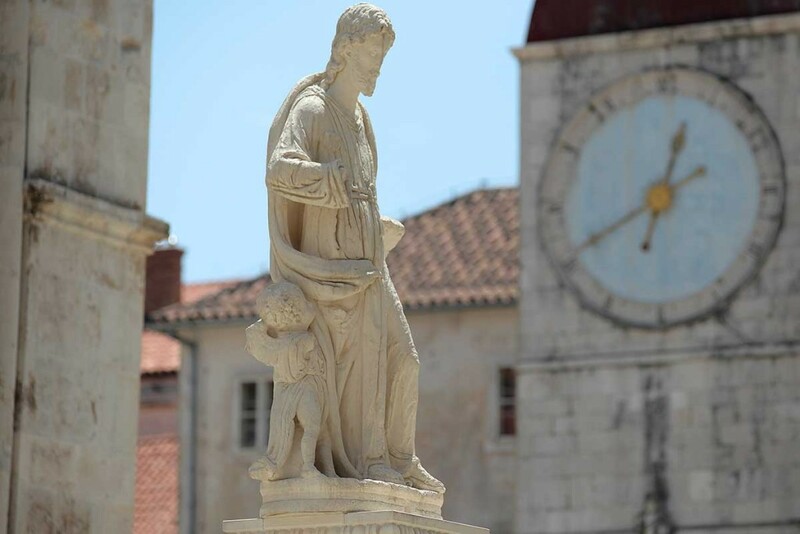 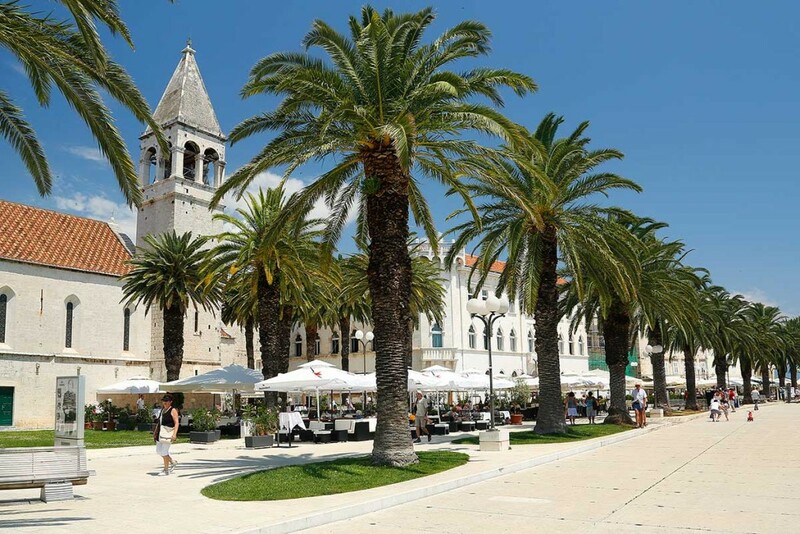 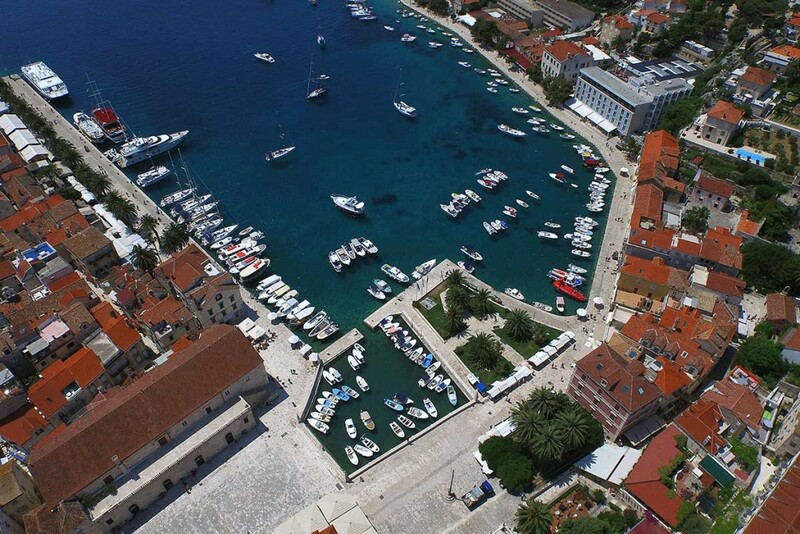 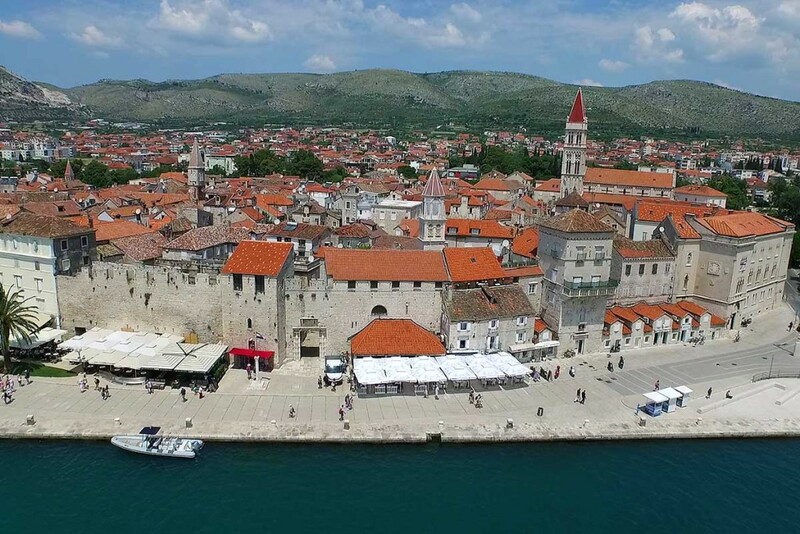 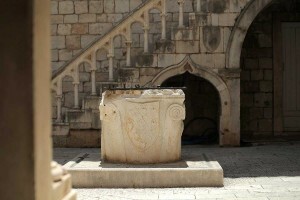 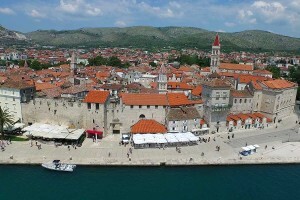 Also known as a stone beauty Trogir is a must see place while in Croatia. 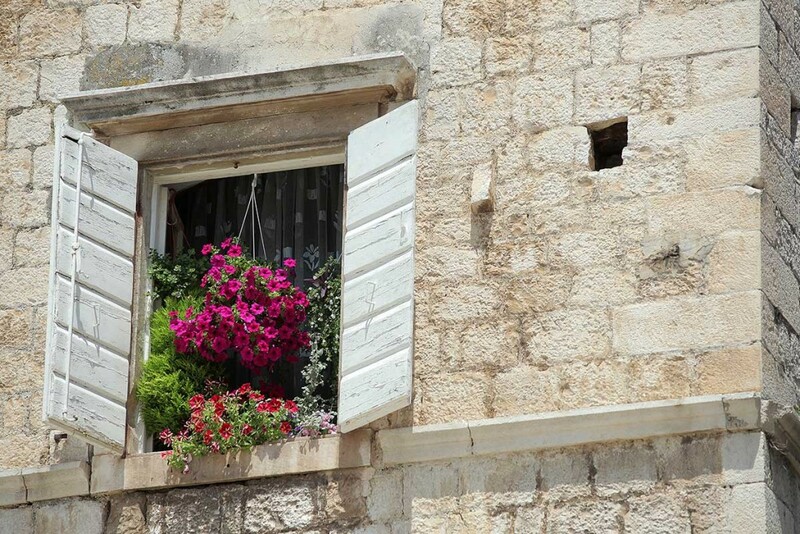 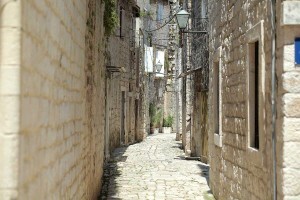 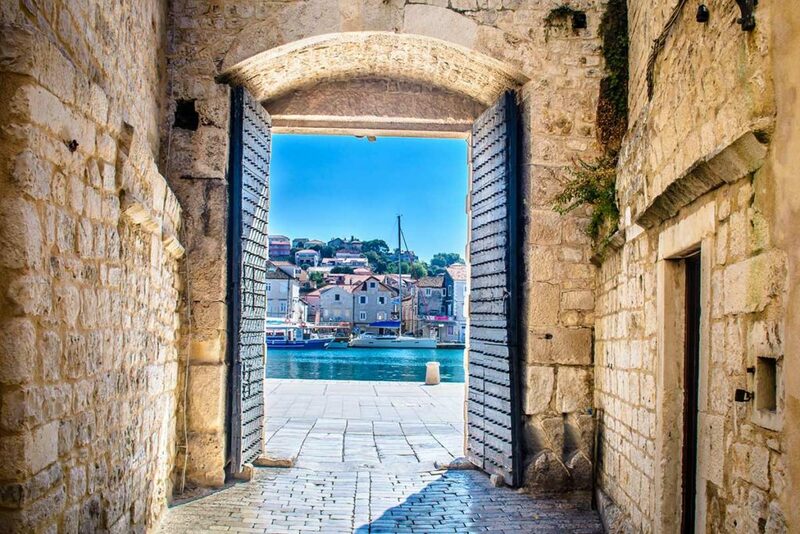 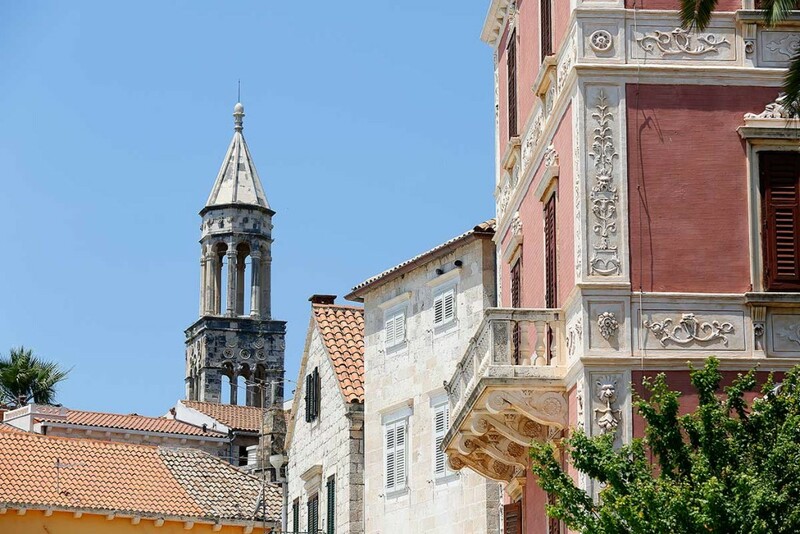 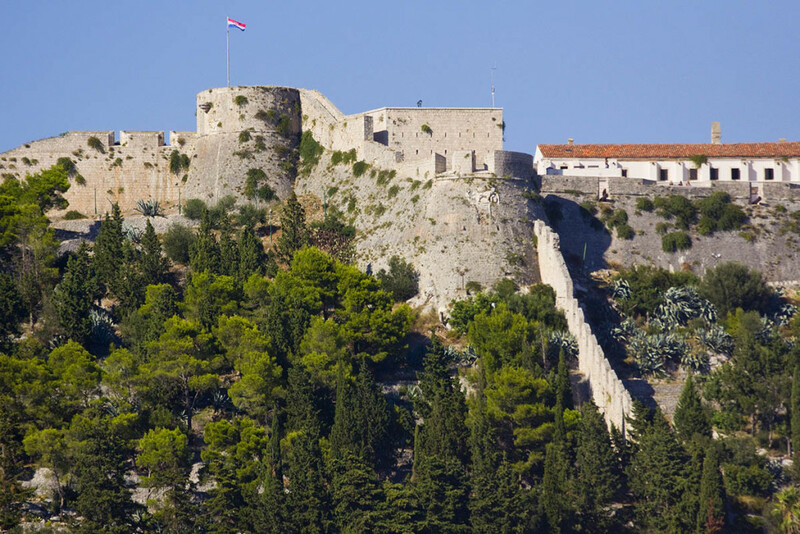 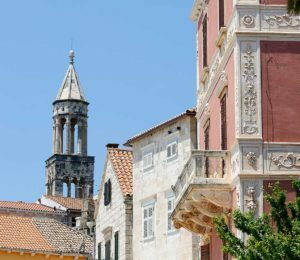 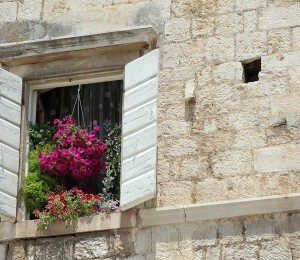 Discover old narrow streets, castles, tower bells and beautiful promenade before return in Split.